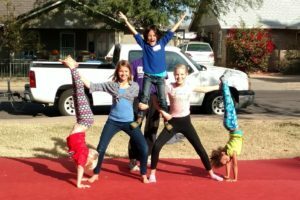 Phoenix Youth Circus Arts will hold weekly circus arts classes for home-schooled children in Central Phoenix. Classes are open to all kids ages 7 – 15. Learn balancing, juggling, acrobatics. New students always welcome! Your first class is free! 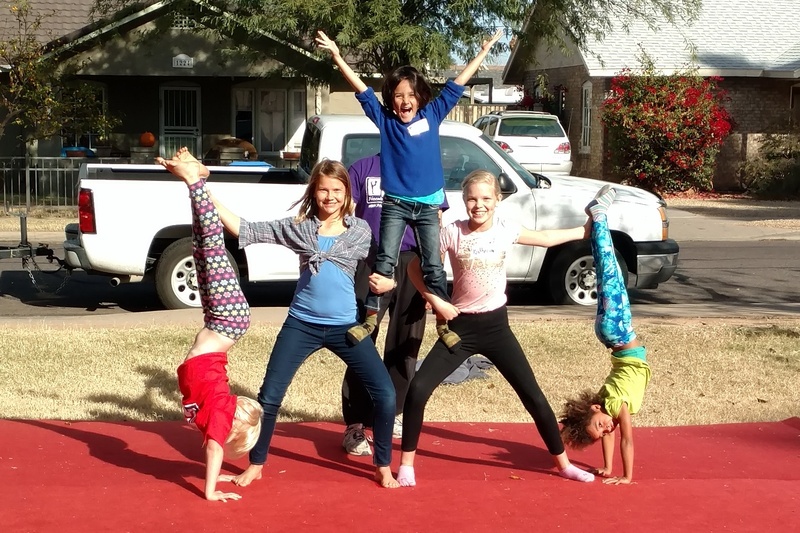 If you have your own home school group and would like a single class or series of classes near to you, write to jens@phxyouthcircus.org or call 480-444-8617. New Students: If you have not attended a PYCA class before, please download the registration/waiver form and send it to Jens via email or bring it with you to your first class. Or, you can fill a form out before starting class when you arrive. Students that have already turned in the registration during the year, do not need to re-register. Outdoor class prices: Single class$15. Monthly pass for 4 classes $45. There are sibling discounts when more than one child from the same family attend the class. Payments: You can pay by cash or check made out to “TAPAZ” on the day of class. To use credit card, click here and choose the option that suits you (single class or monthly package, single child, or choose sibling and family discounts). Note: TAPAZ, the Technical Assistance Partnership of Arizona, is an affiliate of the Vitalyst Health Foundation and the non-profit fiscal sponsor for Phoenix Youth Circus Arts. Events will usually be posted on the PYCA page on facebook. You can indicate your intention to attend by commenting on the facebook event, or writing to jens@phxyouthcircus.org or calling 480-444-8617. Questions? Just call or write.